This entry was posted on March 31, 2011 at 10:24 pm and is filed under People with tags Ag Hall, Bacardi Rum, Blue Light, Buck and Doe, Bud Light, Coors Light, Crystal, Egg Salad Sandwich, Jester, Kate Middleton, Miracle Whip, NASCAR, Prince Philip, Prince William, Princess Diana, Queen Elizabeth, Royal, The Royal Buck and Doe, The Royal Family, The Royal Wedding, Vodka, Whisky. You can follow any responses to this entry through the RSS 2.0 feed. You can leave a response, or trackback from your own site. 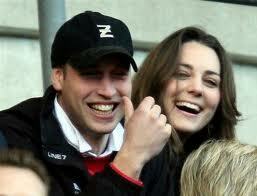 Oh that they would have that much fun at the royal B&D!!!! Who do we buy our Royal tickets from? I was over this Royal wedding Jord but then you bring out this, love it well done!!!! Good old Royal Wicky!!! hahah they might not hearing left for there Royal wedding!! !